It’s probably no surprise that some Caribbean hotels are flying distress flags, offering deals, free nights and value added packages during – of all times – the Christmas vacation week. That is something that was unthinkable in any other year. Yet here are 11 of these offers. But there's no reason to consider this an exhaustive list. Do some digging yourself and you're sure to find resorts, guesthouses and b&b's eager to accommodate you and your wallet during the holidays. Admittedly, there are not any outright steals here. But for anyone on the fence about a holiday in the islands, these offers may well be the tipping point. THE DEAL:"Kids Stay, Play and Eat Free"
THE DEAL: "2 Days Free." Get two days free when booking a seven-night holiday vacation between November 22, 2008 and February 14, 2009. THE CATCH: Children under 12 stay, play and eat free. Up to two children stay and dine free per room when sharing the same accommodations with their parents, with a maximum of two adults and two children per room. Good from December 21, 2008 to January 6, 2009, when booked by December 1, 2008. All-inclusive nightly rates for the Club Room category at $685. THE DEAL: Three free room nights with the Super Sand Dollar Package, based on availability. THE CATCH: Based on a seven-night stay and includes daily breakfast. Guests pay for just four nights and get the remaining three nights free, with rates starting at $147 per night. 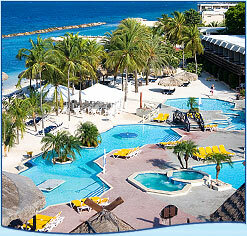 BOOKING: www.stkittsmarriott.com and enter the three letter promotional code ZJL. THE CATCH: Good between December 21, 2008 to January 3, 2009, suites excluded. THE CATCH: Minimum stay of six nights. Valid December 20, 2008 to January 5, 2009. THE DEAL:"Christmas Celebration Package." Up to three children 12 years old and under traveling with parents stay for free. 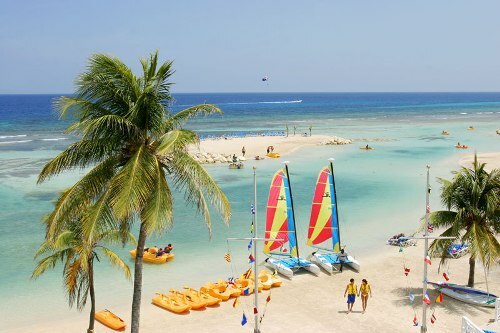 From $181.51 per person, per night, all inclusive. THE DEAL: 20 percent savings. Rates now from $353 per person, per night, based on double occupancy.